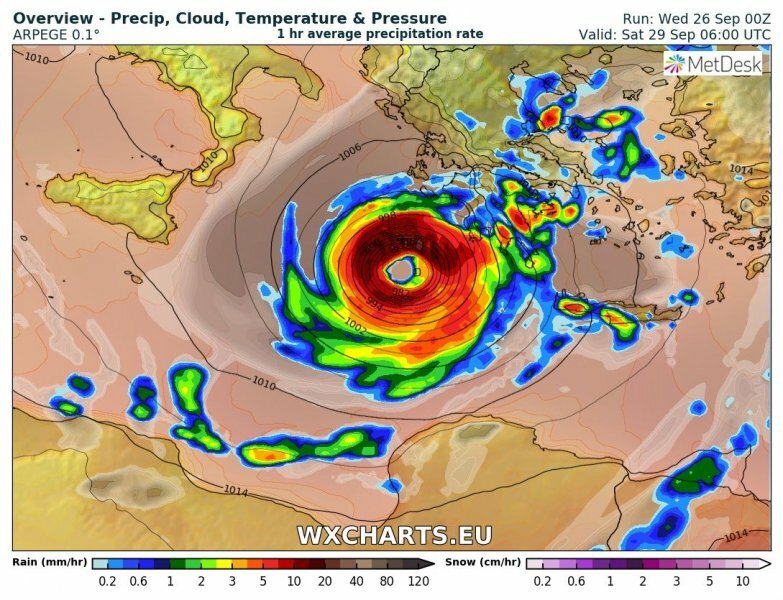 People in Greece and Italy are bracing themselves for a rare and powerful hurricane-type storm in southern Europe’s Mediterranean region, due to hit this weekend. The storm, often called a “Medicane” (Mediterranean + hurricane) has many features similar to tropical hurricanes and typhoons. ﻿ According to a study published in 2011, only about 1-2 “Medicanes” occur per year. 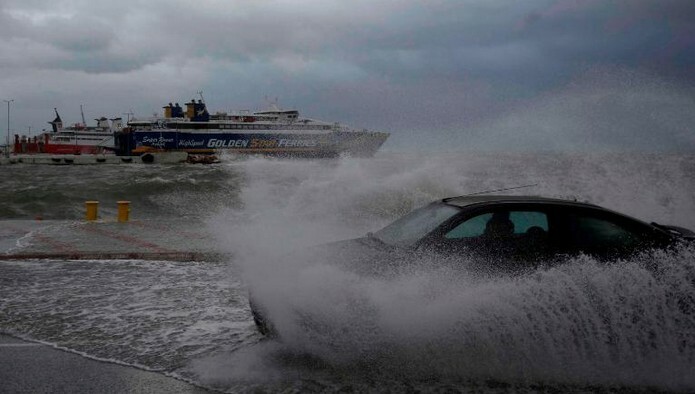 These powerful storms usually happen during the months of September and October, when sea surface temperatures in the Mediterranean are still quite warm, although they can occur at any time of year. The current storm, called Zorba, triggered flash flooding across Tunisia and Libya over the past few days before moving north over the Mediterranean towards Europe. The area most under threat are the Ionian islands on Greece’s western coast where the Hellenic National Meterological Office has put out a severe warning. The system is expected to move slowly over the island of Crete and southern Greece on Saturday before picking up speed and heading into Turkey on Sunday.